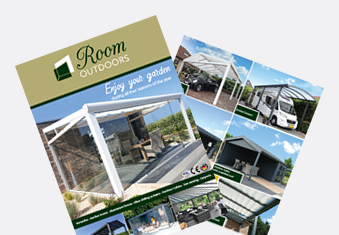 RoomOutdoors principal activity is in the supply and installation of high end outdoor structures, namely Garden Rooms, Glass Verandas, Glass Garden Rooms and Carports. Our product is new to the Irish Market, is manufactured from structural engineered aluminium profiles, is modern in design and requires no foundation or maintenance. The RoomOutdoors product range is high end and are modern, require zero maintenance, are cost effective and guarantee speed of construction as compared to other outdoor models in the Irish market. Creating a fully enclosed glass room means you will be able to enjoy natural light and enjoy that outdoor feeling for the majority of the year in a comfortable and inviting environment. Adding heating and lighting will extend the use of your glass room throughout the winter months making the most of any sunshine, regardless of the outside temperature. The doors are lockable providing added security. The aluminium framing system and 8mm toughened, lockable and polished glass doors assure a system that will last for many years to come. Our products are more suitably aligned to family events, BBQ’s, entertainment, family occasions, birthdays, confirmations, garden parties etc safe in the knowledge that they are protected, should the weather turn wet or cold. Our product lives “the outdoor”. It offers all the ‘al fresco’ benefit without the enclosed feel giving the experience of appreciating nature while feeling protected from our Irish climate. Our products compliments your existing home without the need for a sizeable investment by way of extending a living space for family and larger groups when required. The outdoor living we provide allows a flawless clear view of your garden unlike any other. Our garden rooms and verandas are both functional and allow light and space into the surrounds even when raining. Our system compliments existing patios and decking without the need to construct a new space. It provides a safe solution to wet slippery decking, thus removing the requirement of annual maintenance and utilises your family space to a maximum. We provide customised solutions for different needs, from open verandas to vertical screens to toughened sliding glass walls. All these enhance views and light to the room. No other in the market can provide this. Annual maintenance is almost zero and will be a significant costs to others.